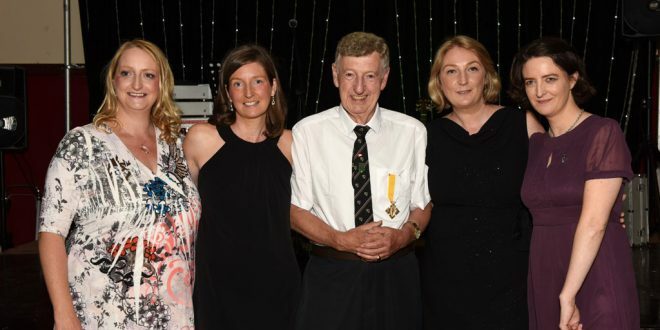 John Fahey, who was presented with the Benemerenti medal, at his 80th birthday with his daughters Sinéad Peris, Niamh Pollak, Jennifer Stanley and Mirianm Fahey. A KILLALOE tenor, who performed for some of the best-known American politicians and Pope Pious XII, has been awarded the Benemerenti medal for 40 years of service to the church. It was a joyous occasion in the Church of St Paul’s, Ayrfield, Dublin 13, when John was awarded the papal medal by moderator Gerry Corcoran, on behalf of Archbishop Diarmuid Martin. The event was followed by John’s 80th birthday party, which was held in Ayrfield Community Centre, across the road from the church. It was attended by 180 people, including relatives and friends who travelled from the United States of America, Canada and Germany. John was born at home in Thomas Street, Killaloe. John’s mother, Madge, a native of Ennis, was a schoolteacher at Ballina National School and his father, Tommy, was a farmer from Loughrea. The youngest child of four, John attended Limerick CBS and was a keen hurler. He played in the Killaloe juvenile hurling team in 1948 and Dr Harty Cup Munster Colleges hurling competitions. John was also part of the Smith O’Brien minor A hurling team, who won the championship in 1954. He also came third in the Shannon swim when he was just 12, unbeknownst to his mother. 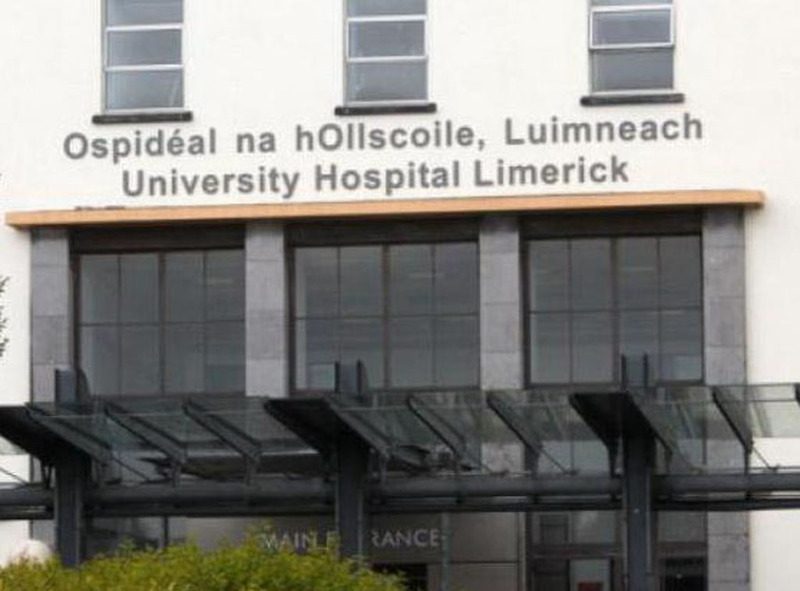 Having left Killaloe in 1954, he attended St Patrick’s teacher training college in Drumcondra, Dublin and followed this with a teaching career spanning 42 years. In addition to leading a very musical life, John is a tenor who originally trained at the Royal Academy of Music and then Our Lady’s Choral Society, which he joined in 1957. Under conductor Sir John Barbirolli, they performed at the Royal Albert Hall. In 1958, Our Lady’s Choral Society went to Perugia, Italy and sang for Pope Pious XII. The Hallelujiah Chorus was heard twice and afterwards the choir were cheered as they walked down the streets back to their hotel. In 1965, John Fahey sang at the White House and met President Lyndon Johnson, Bobby and Ted Kennedy. Mr Fahey returned to Ireland and married Carmel Mullaney, settling in Dublin and going on to have four children. He entered the National Song Contest in 1970 but was pipped to the post by Dana, who went on to win the Eurovision for Ireland for the first time with All Kinds of Everything. John has always been proud of his Clare roots and keeps in touch with his cousin Chris Minogue, who ran the well-known butcher shop Minogue’s, now a heritage attraction in the town. He visits Killaloe regularly and says the place still retains an old world-charm. In 2013, John made a CD that included Beside the Shannon Stream, written by Killaloe poet, Jack P Noonan. The following year, John won The Gathering, singing My Lovely Rose of Clare. The prize was to fly back his daughters Jennifer from San Francisco and Niamh from Vancouver for a visit. John collects his Clare Champion at Donaghmede Shopping Centre every Friday. A proud Clareman, he believes that moderation, a good sense of humour and a spiritual life is what keeps him young.